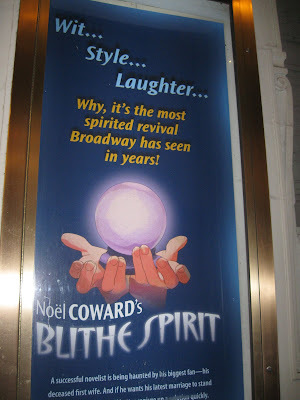 It won't be long and we'll have some new shows in to brighten our darkened Broadway spirits. Most of the marquees are up and ready to go. I braved the cold to see them on 45th and 44th Streets, but that's as far as I got. 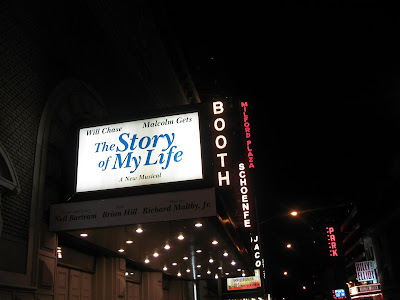 The Story of My Life begins previews on February 3rd at the Booth Theatre. It stars Will Chase and Malcolm Gets. 33 Variations begins previews on February 9th at the Eugene O'Neill. It stars Jane Fonda, Samantha Mathis, Colin Hanks, Zach Grenier, Don Amendolia, Susan Kellerman, Erik Steele, and Diane Walsh. 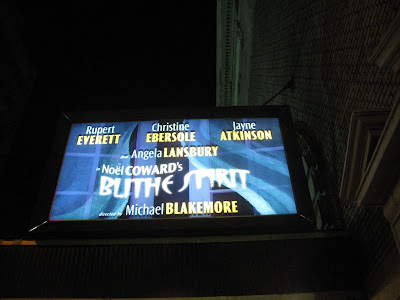 Blithe Spirit begins previews on February 26th at the Shubert Theatre. 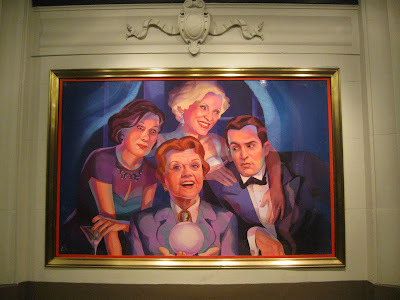 It stars Christine Ebersole, Rupert Everett, Angela Lansbury, Simon Jones, Jayne Atkinson, and Deborah Rush. 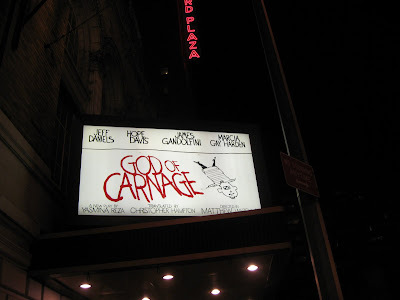 God of Carnage begins previews February 28th at the Jacobs Theatre. It stars Jeff Daniels, Hope Davis, James Gandolfini and Marcia Gay Harden. 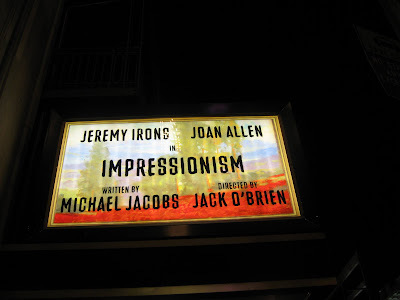 Impressionism also begins previews February 28th at the Schoenfeld Theatre. It stars Jeremy Irons and Joan Allen. 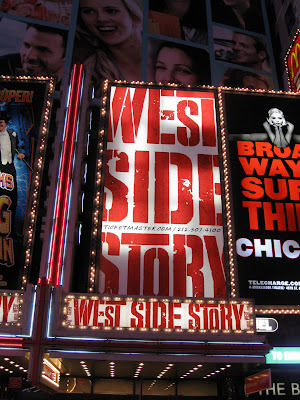 I love seeing new marquees and posters! Yah! Nice photos! Exciting! hopefully I'll get to return to actually see some/most/all of them! ha! How cool! 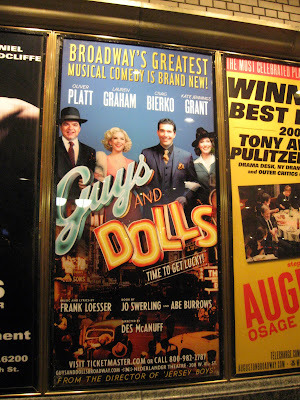 I would love to see Guys & Dolls and am intrigued by Impressionism. 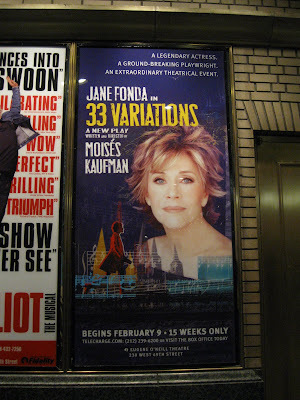 Not a Jane Fonda so that affects my interest in 33 Variations - I know, dumb!